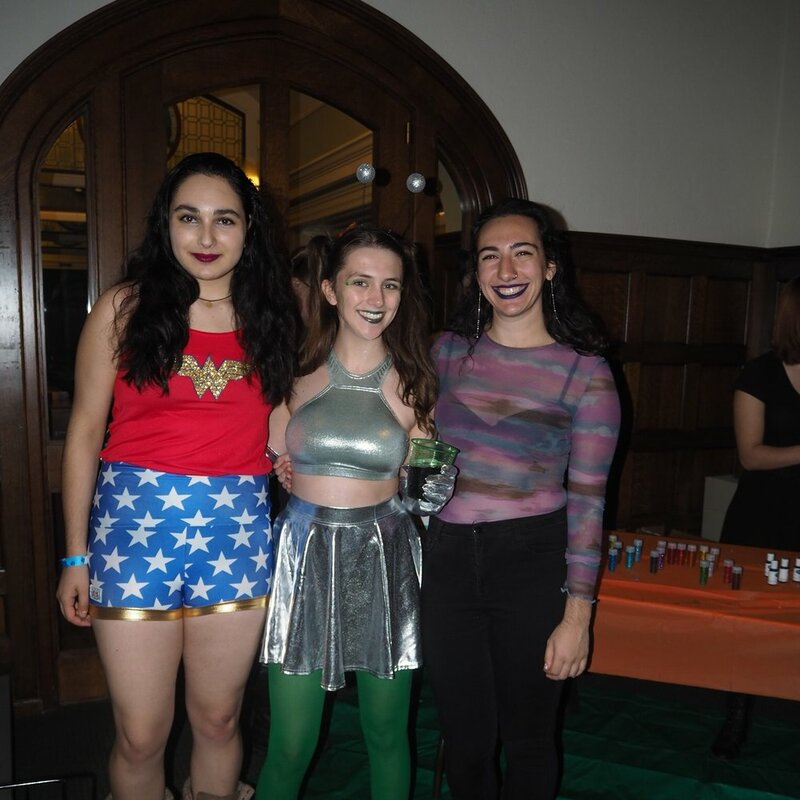 On Saturday, Halloween spirit reached its peak as Mount Holyoke students dressed up in costumes and made their way to Spooky Skate in Chapin Auditorium. From 8 to 10 p.m. Chapin was converted into a roller rink with games, a photo booth, pizzas and numerous other activities. Students clad in elaborate costumes started queuing up outside Chapin at least 30 minutes before to seize their chance at the roller rink. Chapin was intricately decorated for the festive night and chairs formed a boundary around the center of the room to create a roller rink. Each attendee was given a 15-minute opportunity to roller skate around the auditorium. Outside the perimeter, people danced to rock music, ate pizza, played with slime and took turns at the photo booth. 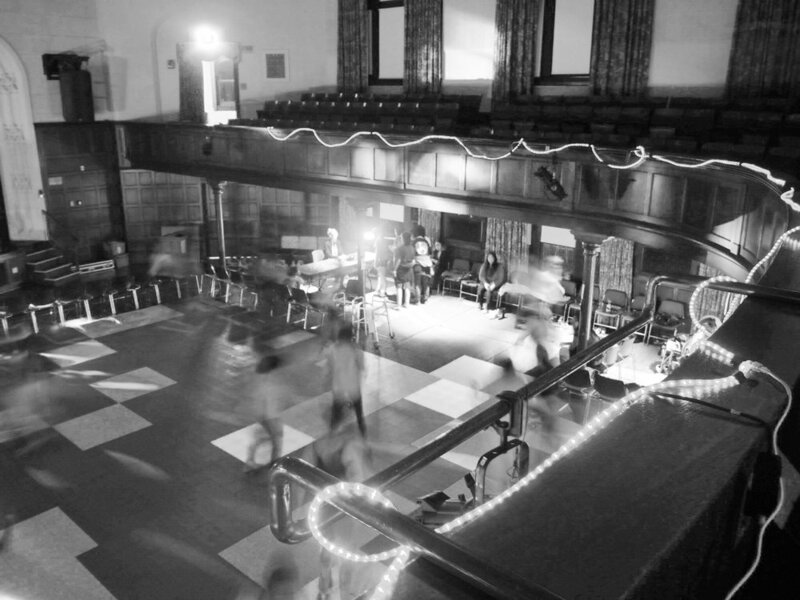 For many students, Spooky Skate was a welcome distraction from their assignments and exams. “Spooky Skate was a nice break from having to constantly worry about midterms and papers. Also, it just felt great to skate with my friends … even though I embarrassingly fell innumerable times,” said Khadija Haji ’21. Student Event and Special Programs Coordinator Riley Fickett dressed as a slice of pizza on Saturday. Lila Oren-Dahan ’20, Ann Hewitt ’20 and Sarah Dauer ’20 dressed in costume for Spooky Skate. For other students, devoting their entire evenings to preparing their costumes was as exciting as the event itself. 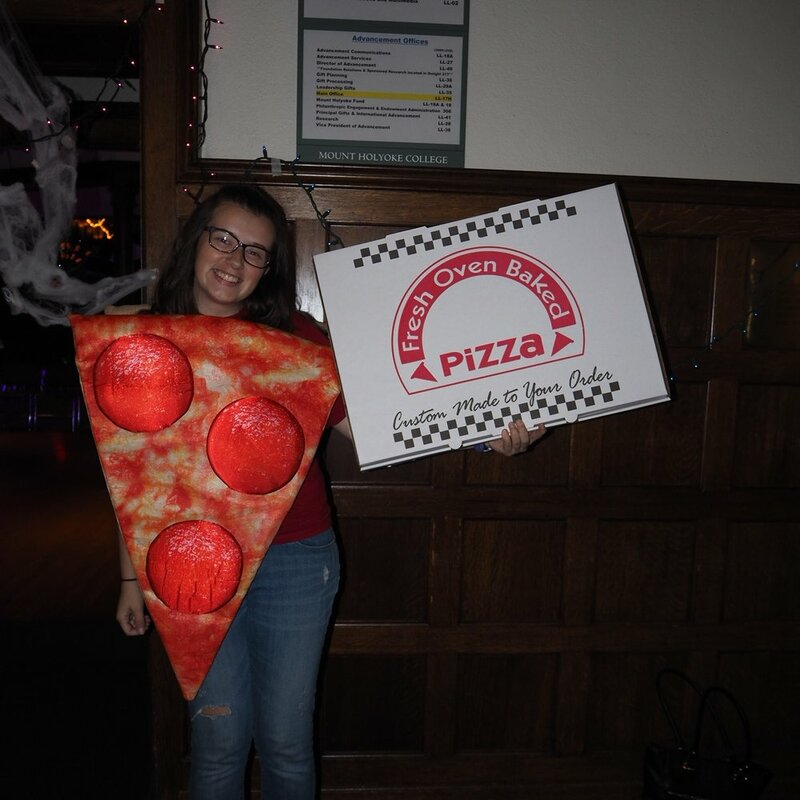 “Dressing up is the way I express myself, and for anyone like me, it can’t get better than an awesome costume party,” said Tooba Indhar ’21. A variety of costumes could be seen in Chapin, including some dressed up as traditional superheroes, some in elaborate face paint as clowns and unicorns and others in creative outfits, like coffee cups from their favorite cafes. Mya Wright ’21 took the opportunity of a costume party to express her love of anime as she accessorized her black outfit with a “Naruto” headband. Chapin was crowded late into the night as students walked in and out to hang out with friends, grab some food and practice their roller skating skills.